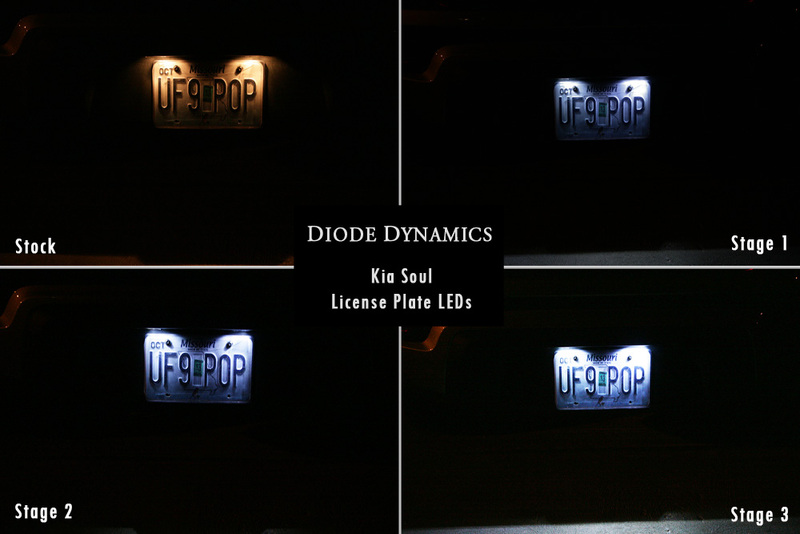 Kia Forum > Vendors > Diode Dynamics > Kia License Plate LEDs! Several Model Options / Plug & Play Install! 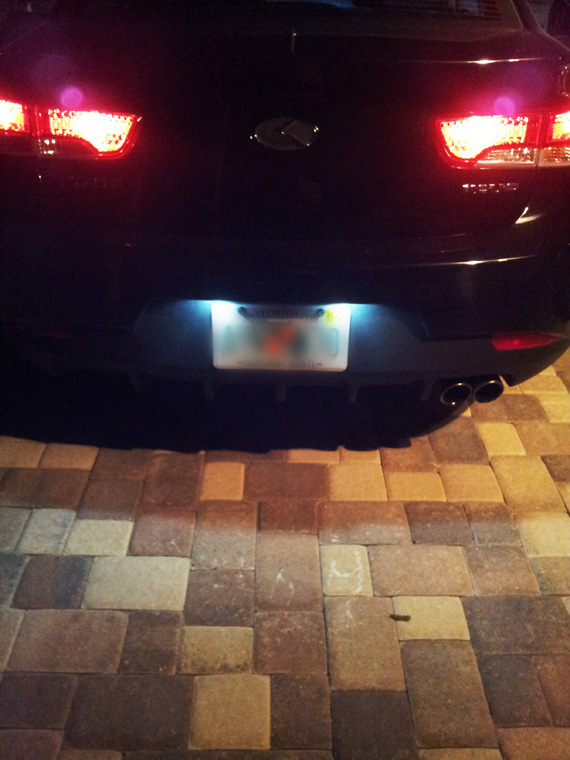 Kia License Plate LEDs! Several Model Options / Plug & Play Install! Here's a great way to upgrade your Kia's appearance at night for a very low price. Luxury cars such as BMW, Lexus, Mercedes, come with that nice white LED License Plate illumination. Upgrade and have that look today! We carry the brightest, highest-quality bulbs at the lowest prices. Your order will ship same day, and we're here if you need us for support and service. And we do not jack up the prices to astronomical levels- We're breaking that market trend, and offering you great, low prices, every day. These LED bulbs are designed by us here in St. Louis, and every bulb carries with it a three-year limited warranty. 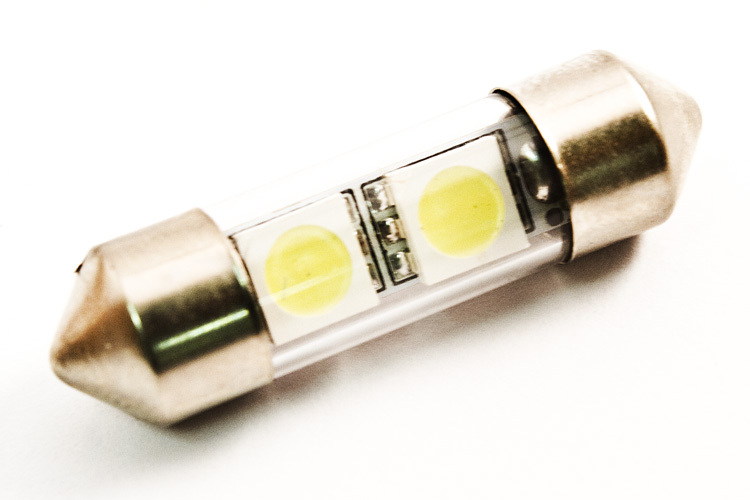 Our license plate LED bulbs are a direct replacement for your factory license plate bulbs. All white bulbs will provide a cool white LED color, replacing the dull yellow incandescent bulb. Or pick red, blue, green, or yellow (off-road use only). Stage 1: Near factory brightness. Stage 2: Slightly brighter than factory. Stage 3: Much brighter than factory. These bulbs are made up of a quality plastic connector to slide right into the plug, as well as high durability terminals. A load resistor is embedded to prevent blowing the LEDs from voltage surge, and a diode is implanted to protect the LEDs from reverse polarity. The LED is wired for 12v operation, the kind found on all vehicles. Included in your order is TWO BULBS (to fit your Kia). 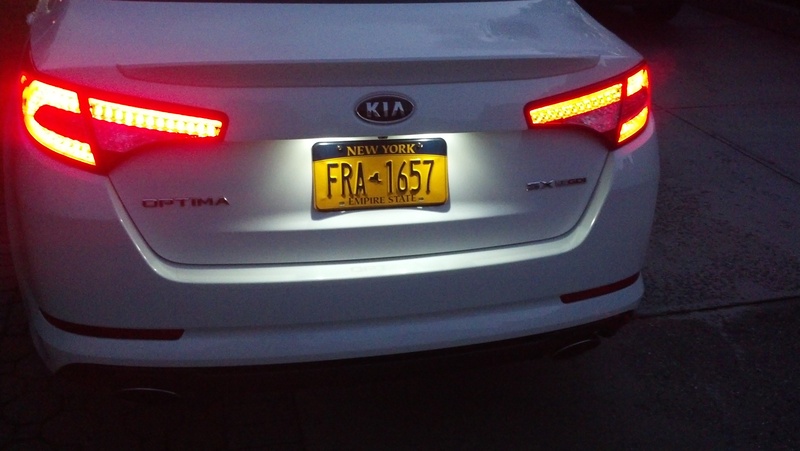 "I installed these in my 07 Sorento, I was surprised at how perfectly white and bright they are. The instructions clearly indicate that they only work when installed one certain direction. If it doesn't light up, just take it out, rotate it 180 degrees and put it back in, works great. Last edited by Diode Dynamics; 04-12-2016 at 02:59 PM. 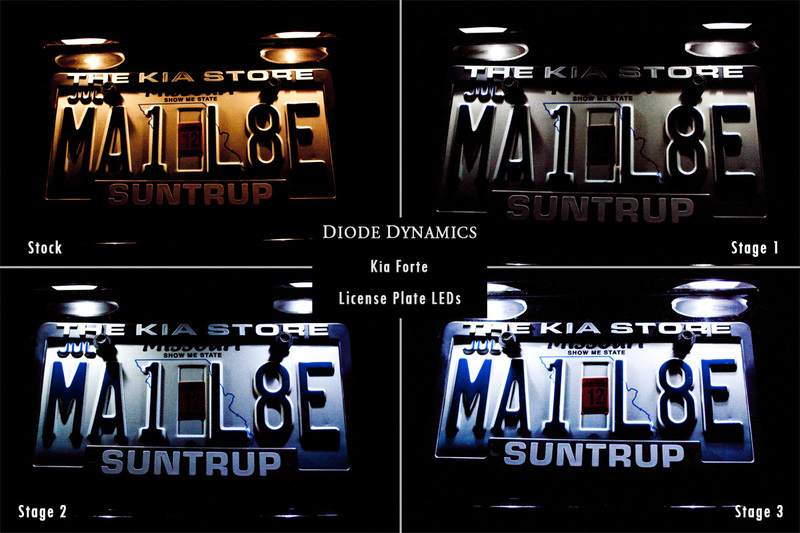 Last edited by Diode Dynamics; 04-24-2014 at 03:06 PM. Are those lights legal in Canada? Yes, white is perfectly legal. In fact, most BMW's nowadays come stock with LED license plate lighting. I don't recommend placing red or blue LEDs in the license plates though. Your Experts In Kia Lighting! None of these are listed for the 2009 Amanti. Shoot me a PM or email: [email protected] and I will help you find what you are looking for. We have a variety of sizes and I guarantee I can find the ones you need. I just found out that the license plate bulbs for my Amanti are size "Wagner 11005 Miniature Bulb". Do you have anything that will fit that bulb size? I can't find it on your site. Thanks!! Check our website and facebook page for more details! Please reply to my above post....Believe it or not, I AM a potential customer! Thank You! Last edited by Diode Dynamics; 02-19-2014 at 01:43 PM.